Szex, Drót, Rock’n Roll is a participant in a three-session script development program held by Midpoint Feature Lab, launched by FAMU of Prague. During the year-long work process participants meet in person on four occasions, with the second intensive development week taking place in the month of May. In addition to developing the story, directors and accompanying producers also deal with project financing and co-production options. 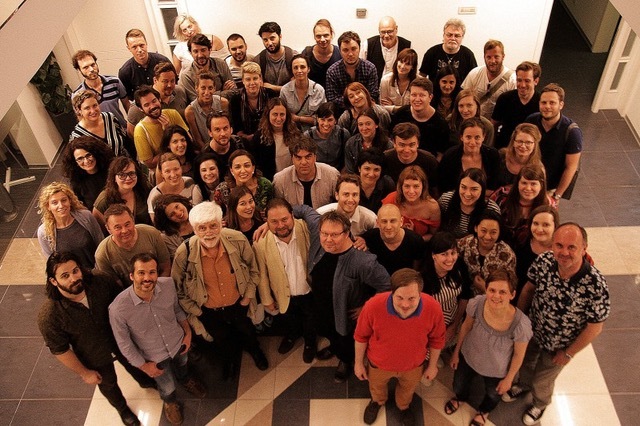 Following the week-long workshops in Trieste and Belgrade where professionals such as Gyula Gazdag, Stefano Tealdi and Danijel Hocevar offer their support, creators present their film projects at the Karlovy Vary International Film Festival. This year, the 9 projects selected for the development program – of which Fabricius’ is the only Hungarian project – will be presented to a mainly professional audience of 500 at the festival’s pitching forum. In previous years, film projects such as Cannes participant OUT were developed at Midpoint.